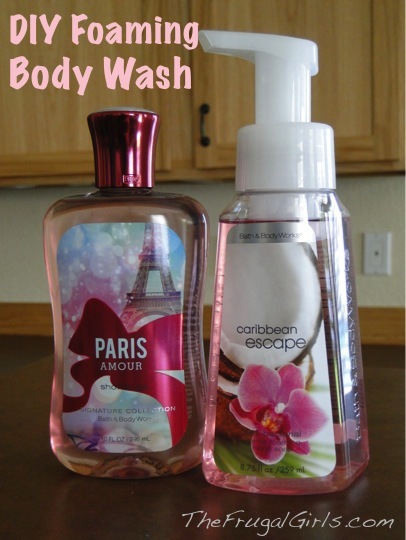 Make your body wash last way way longer with these easy DIY Foaming Body Wash trick! By now, you know how much I love foam! 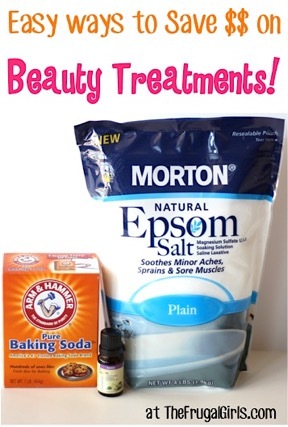 😉 Seriously ~ I’m in love with my DIY Foaming Hand Soap, DIY Foaming Dish Soap, DIY Foaming Tear-Free Shampoo, DIY Foaming Baby Wash… and now DIY Foaming Body Wash!! It’s such a simple trick… and will help you save BIG! 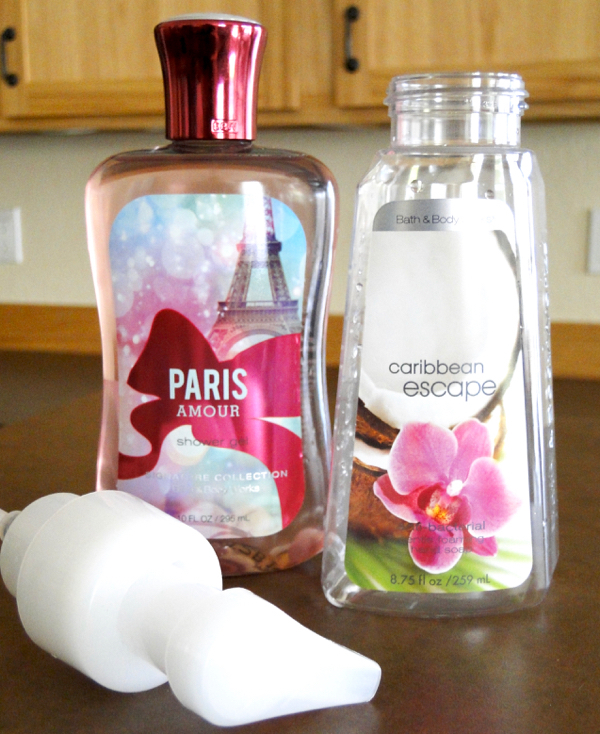 Saving money is always fun and having foaming soap make saving money even more fun! 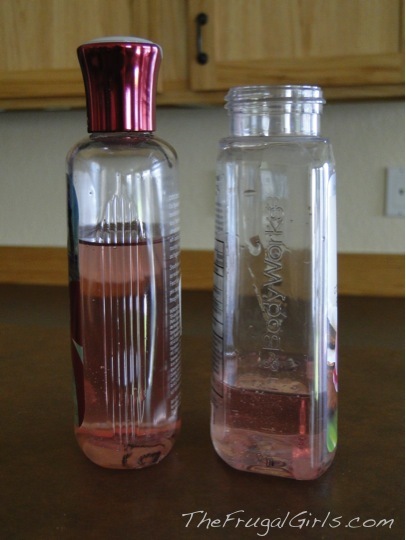 Slowly fill the rest of the bottle with water. Thanks to frugal friend LaDonna for sharing this fun and frugal idea on The Frugal Girls Facebook page! 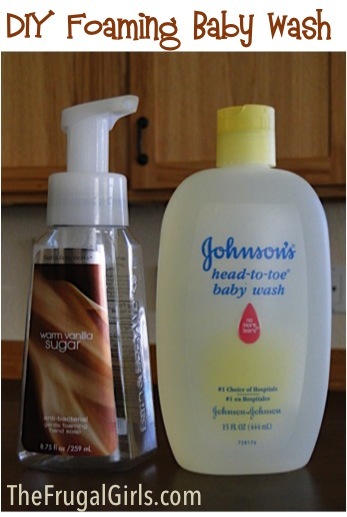 DIY Foaming Baby Wash Trick! 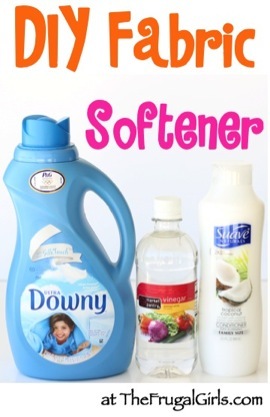 What are some of your favorite Homemade Cleaners or DIY $$-saving Tips?? Make sure you routinely and thoroughly clean the pumper as it can easily get contaminated with repeated use. My boyfriend uses crazy amounts of soap, so I mix a little bit of shower gel with mostly water, and it lets him use a lot of the foam, but not a lot of soap. This is a great idea!!! 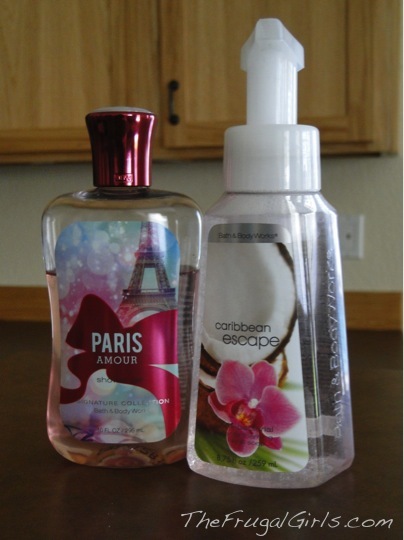 You can also stretch the the foaming hand soap by 3rd( I love the Bath and Body brand). I run a home daycare and the kiddos LOVE to go through the soap. 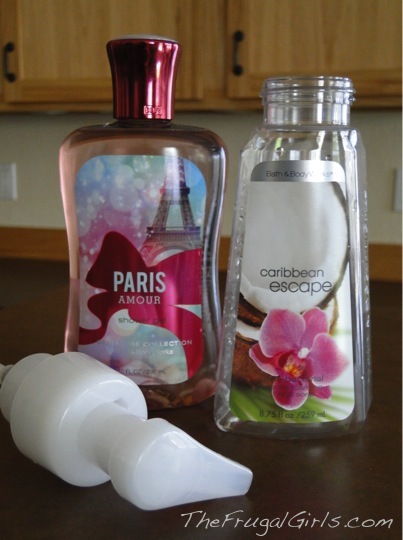 Plus, some of the scents are a bit strong so I experimented with diluting them. In my bath room I prefer to do half water to half foaming soap. In the kids bath I do 1/3 soap to 2/3 water. 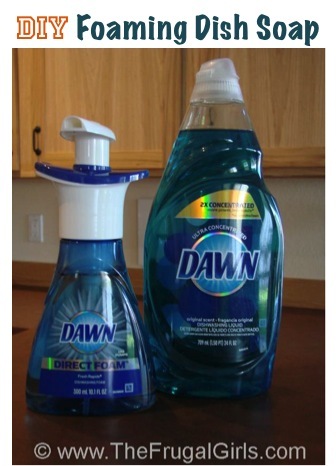 It gets us just as clean, the scent is not as over powering and if you bought them during the semi annual sale you are really saving $$$$. I love stretching the budget! 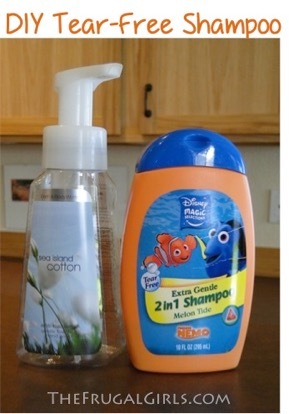 I also do 1/3 soap and 2/3 water. But I put in the water first, better with HOT water, then add the soap after the bubbles go away. Usually fill my containers up when doing dishes and hot water is running freely. Also, I make up a BIG batch at a time. 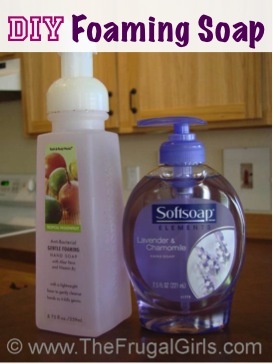 I have an old softsoap container from Sam’s Club, so I make a big batch and keep my own refills under each sink. I even have lines drawn on my big container where to fill water to and then fill rest with soap.